MENGO – Fustal Premier League defending champions Dream have had a below per season so far. After winning the inaugural league title, the Wankulukuku based side look most likely to relinquish it at the first time of asking. Currently seated 5th on the league log, Dream are 13 points off the pace with just 7 games to play in the season. With the League crown all but lost, their only chance of winning silverware this season comes in form of the Uganda Cup. Already into the semifinals of the competition, Dream know that they are only two victories away from at least walking home with the Uganda Cup at the close of the season. “It looks like we will relinquish the League title, says Dream Captain Jamal Muyingo ahead of Thursday’s game. “It is sad but we have underperformed immensely this season and we have nothing to do about it. “Our last chance to win something is in the Uganda Cup and we believe we can go all out and win it. “Against Bajim, we come up against a hard fighting team but with the quality we have, i am optimistic we will reach the finals. Bajim are a side that also has their sights set on the cup as they cannot win the League either. Bajim have been a mid-table team all season but are in high spirits after impressive displays in their last three games. They beat Mengo City 1-0, came from 3 goals down to defeat Parakeets 5-3 and also pushed leaders Yeak to the edge in a 3-2 defeat last week. Coming up against Dream, they know the sort of opposition they are set to face but they by no means fear the defending league champions. 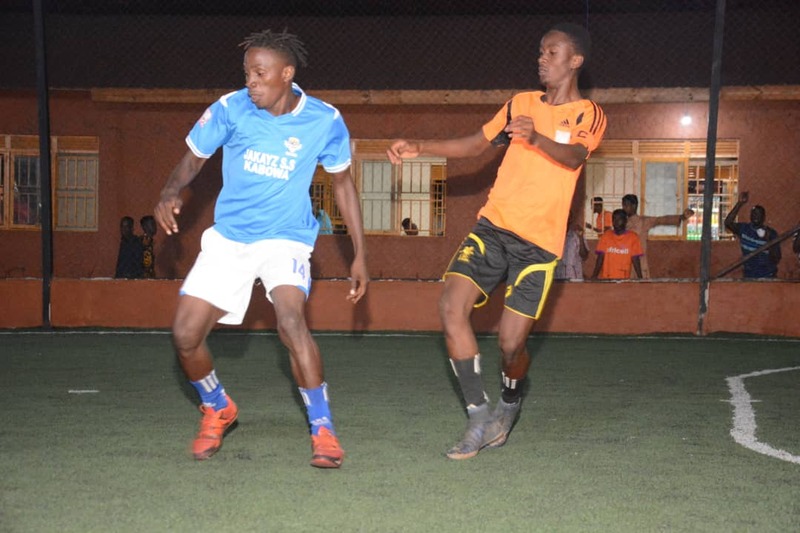 “Dream is a very good side with lots of exceptional players and that is why they won last year’s league title, said Bajim captain Derrick Mubiru. “However, we face them in a knockout game which usually is decided on how good you are in a particular game. “We have never won a Futsal title and knowing that we are only two victories away from winning something, motivates us. “We go into the game eyeing victory and hopefully, we will achieve our target. The other semifinal pits double chasing Yeak against Crown. Yeak Kabowa are currently leading the league table and come into the semifinals after annihilating Typhoon 8-3 in the quarters. Yeak (Blue and White) eliminated Typhoon in the quarter finals. Crown eliminated Kabowa United with a 2-1 victory but after losing against Yeak in the League, they are overwhelming underdogs in the contest. Yeak Kabowa’s red-hot forward Enock Sebagala leads the scoring charts of the competition with five goals. The final of this year’s tournament will be played on May 9th where the winner will walk away with prize money of Two million Uganda Shillings (2,000,000/=).